Director – Tomas Alfredson, Screenplay – Hossein Amini, Peter Straughan & Søren Sveistrup, Based on the Novel by Jo Nesbø, Producers – Tim Bevan, Eric Fellner, Piodor Gustafsson & Robyn Slovo, Photography – Dion Beebe, Music – Marco Beltrami, Visual Effects – Union (Supervisor – James Roberts), Special Effects Supervisor – Stefano Pepin, Prosthetics Design – Love Larson, Production Design – Maria Djurkovic. Production Company – Working Title/Another Park Films. Harry Hole is a brilliant Oslo police detective but on a personal level is a screw-up and an alcoholic. He joins new colleague Katrine Bratt as she investigates the case of a missing mother. Harry finds a snowman has been left in the garden and puzzles over this. The two delve deeper and find other missing women, who have always been having affairs and may have become pregnant by the other man. In each case, a snowman has been left outside their homes. They believe they are on the trail of a serial killer. At the same time, the killer starts to taunt Harry. The Harry Hole books are a series of detective novels by Norwegian writer Jo Nesbø. The books concern a detective on the Oslo police force who is battling alcoholism and personal issues as he takes on a variety of different murders that sometimes take him around the world. Between 1997 and the time of the film’s release, Nesbø has published eleven Harry Hole books, beginning with Flaggermusmannen (The Bat) (1997). From 2012, these have been published translated into English. The one other genre work that Nesbø has been involved with is as creator of the tv series Okkupert (Occupied) (2015– ) set in a near-future Norway after it has been invaded by Russia. Snmannen (The Snowman) (2007), the seventh of the Harry Hole books, was chosen for a big international film production. The producers were clearly aiming to replicate the success of The Girl with the Dragon Tattoo (2009) a few years earlier in creating a Scandinavian-set thriller in the same vein (with the prospect of an ongoing series). The director assigned was the Swedish Tomas Alfredson who had a huge international hit with the vampire film Let the Right One In (2008), followed by the English-language John Le Carre adaptation Tinker Tailor Soldier Spy (2011). Filming took place in Oslo, where the book is set. Peculiarly, the film makes a scrupulous effort to set everything in Norway but to remove all Norwegian language from the film and have the entire cast speaking and even the street signs and building names printed in English, while also casting all of the major speaking parts with well-known English-speaking actors (one of the most impressive cast line-up that on has seen assembled for any film of recent). Despite this, the film premiered to universally negative reviews that called it confusing. The film only earned $6.6 million in US release (against a $35 million budget). Tomas Alfredson later blamed this on a rushed shooting schedule that ended with them having to ditch some fifteen percent of the script. Rather the criticism I would make of The Snowman is that it fails to engage as the policier thriller that it sets out to be. There is never anything to the twists and turns that has you on the edge of the seat or makes your jaw drop the way a good thriller should. It does the criminal thing a detective thriller never should – it plods. 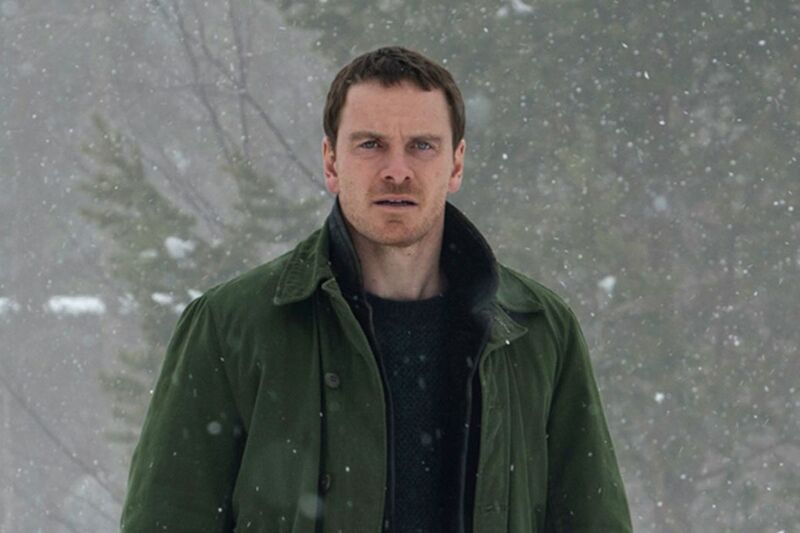 The climactic revelation of the killer’s identity feels like one where they drew straws among the cast list to select one character at random – although that is a problem that is more Jo Nesbø’s than the film’s. Michael Fassbender plays with a certain likeability but the dogged, burned-out detective is a well overused trope. Nevertheless, the film holds you to the end with a certain watchability. Tomas Alfredson brings undeniable visual style. He grabs your attention with the prologue that take us through a cleverly condensed series of scenes with a young boy discovering his mother with a visiting man and the realisation that this is the boy’s father to a seat-edge scene where she drives off the road out onto a frozen-over river and the boy is forced to watch as the ice cracks while she sits in the car as it slowly sinks down into the water. There are also some epically breathtaking shots of the Norwegian landscape – in particular, one shot where Val Kilmer tops a mountainside and then fires a shot to drive away a flock of crows feasting on a corpse on the slope beneath him.